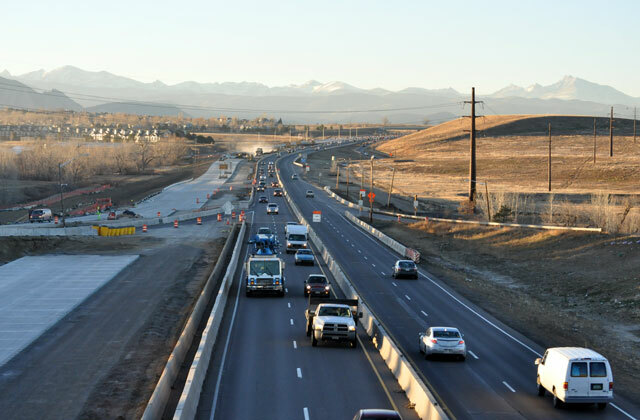 The US 36 Design-Build projects fully reconstructs 15 miles of US 36 from Denver to Boulder, Colorado. The projects include adding eastbound and westbound express lanes, bus rapid transit shoulders, and a commuter bikeway the length of the corridor. In addition, three interchanges, seven bridges, five bridge widenings, and multiple major pedestrian and drainage box culvert crossings are being reconstructed. The projects have a combined construction cost in excess of $355 million. Alliant is responsible for all aspects of maintenance of traffic design, field reviewing traffic control implementations and determining alternatives to increase safety and operations. We are working hand in hand with the contractor to develop a through and economical construction staging approach.